Last week on the Farmington I noted a substantial number of black caddis, about a size 16, hatching in the afternoon. I’d never seen them in that number before. While I had some patterns in my box (Stewart’s Black Spider, Starling and Herl) that matched the hatch, I wanted to tie up something that I could pretend was my own. This borrows from Leisenring’s Black Gnat and the S&H. On a stouter hook –and with a bead head — it would make a fine steelhead fly as well. Tying notes: A very simple tie. I used three pheasant tail fibers for the body. Counter-wrap the rib to reinforce the body, and play around with different color wires. 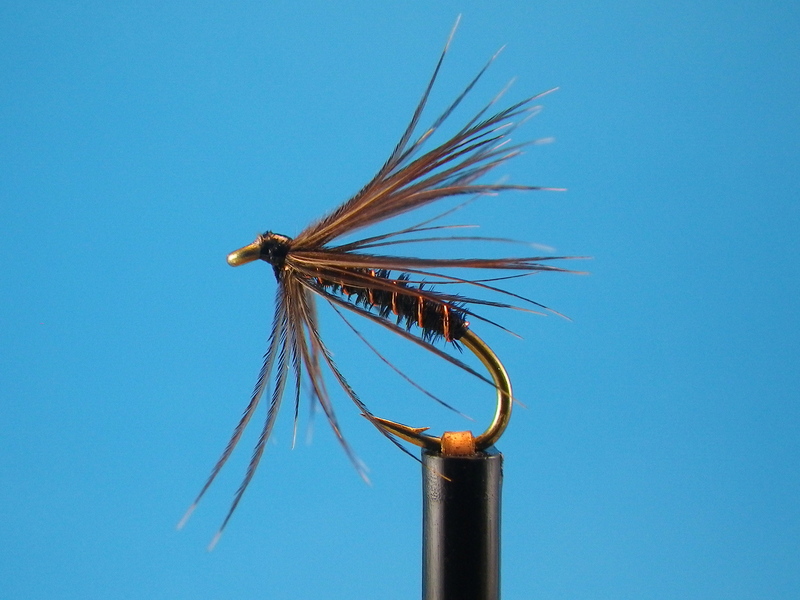 I went for a longer-fibered starling hackle with this fly.